1. Open Gimp, drag and drop tube into canvas, flip. 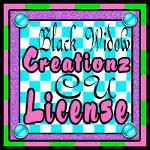 Add copyright layer including copyright symbol, artist's name, website and your license number, if applicable. Name this layer credit so you keep track of it. Duplicate tube, flip and scale copy to 238 x 579. This will be on right side of tag. Element 38- 134 x 125, duplicate scale copy to 82 x 76 and flip, move to right side of tag. Element 39- 129 x 137, duplicate and flip. Move copy to right side of tag. 3. Add drop shadow by going to FILTERS>LIGHT&SHADOW>DROP SHADOW with settings at 8/8/15 black for tube and frame. For elements on left side of tag, use settings at -3/3/6 and on right side 3/3/6. 4. Using a font called Eight Fifteen, I wrote Eternal Love, R clicked on this layer in layers box, ALPHA TO SELECTION, up to SELECT>SHRINK by 1 and then SELECT>INVERT and EDIT>CLEAR. I then used the rotate tool to angle it slightly downward to the left. I added a drop shadow with settings at 8/8/8. 5. Use the fuzzy select tool, click within the frame layer. Go to SELECT>GROW by 4, then click on paper 7 in layers box to activate it. SELECT>INVERT and EDIT>CLEAR. Now keep the large tube layer within it also and do the same thing. After you have it right, go to COLORS>DESATURATE then in the mode selection at the top of the layer box, choose HARD LIGHT. Merge the two together, tube with paper. 6. Drag and drop the mask by Sharon into canvas (name of it is grungi10.jpg). COLORS>INVERT, LAYERS>TRANSPARENCY>COLOR TO ALPHA. R click on mask in layers box, ALPHA TO SELECTION then click on paper 4 to activate it. Up to SELECT>INVERT and EDIT>CLEAR. The paper is now the mask so you can delete the original mask layer. Repeat these steps with the mask by Melissa (name of it is MC_CCExcl_HeartMask5.jpg) but with paper 6. 7. Again, I used the font as in step 4. I wrote out the name in a red tone. Then I right clicked on this layer in the layers box and chose ALPHA TO SELECTION, clicked on paper 11 to activate, then SELECT>INVERT and EDIT>CLEAR. I moved this layer over to the right just a little. Add a drop shadow with grey as the color with settings at 0/0/20. Add noise to the red text layer by going to FILTERS>NOISE>RGB NOISE with correlated the only one checked and levels at 20/20/20/0. 8. Use the rectangle tool to crop your tag, keeping only the tag in it, go to IMAGE>CROP TO SELECTION. 9. Save as .xcf first then save as .png when you're satisfied.